For all skin types. Especially beneficial for dehydrated and mature skin. This gently fragrant floral water is boosted with hyaluronic acid used to fully hydrate and plump the skin. I’m addicted! Love the smell, the feel, the easy way it goes on – sprays on, no cotton swabs that waste product, no dabbing on the face with your fingers. It’s so refreshing and stimulating for the skin. Restores the acid balance in my skin and helps keep it smooth and moisturized. I have been using this product consistently – morning and evening – and I absolutely love it!! I am in my sixties and find it nourishing and healing!! I would recommend it to anyone at any age!! Thank you for this wonderful product!!! I like to mist this generously on face and neck and it instantly soothes and hydrates skin. A most unique must have product. 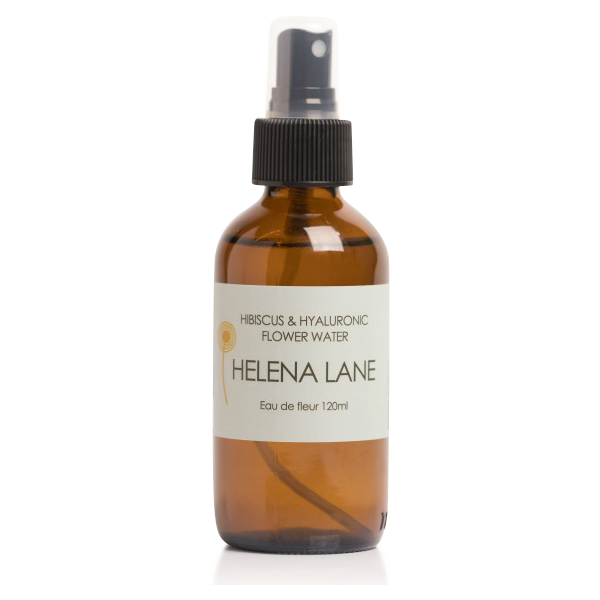 Perfect to use before using one of Helena’s facial moisturizers. At first, I hated the smell. Up to now I have been using the frankincense water. It has definitely grown on me now,though, and I enjoy its flowery smell. It is relaxing and refreshing at the same time! I’m struggling with the smell of this. There is an underlying scent that I find unpleasant. If I spray it into my hand and mix in the oil, it isn’t as bad. I’ll have to see if I can get used to it. I am loving the easy regime of using these products – and every one of them calming the skin. 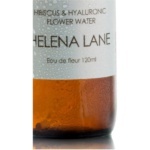 I didn’t think that the flower water did much for my skin until I ran out – and then realized it is an important step! Thank you for the research that went into these products, the attention to sourcing nourishing ingredients and the simplistic way you’ve shared your passion to educate about the skin. After cleansing my face, this is my favourite step, misting with the flower water. It is very uplifting and you can feel the plumping effect. Very nice product…love the plumping effect. the smell isn’t the greatest but it’s not all that bad, it’s not as nice as some of the other flower waters scents that are invigorating and just a treasure to use. I wish more scents offered the Hyaulouranic acid. I’ve been using this product at night after cleansing for several weeks now and absolutely love the way my skin looks after. It looks hydrated and the pores tighten up, something I’ve never experienced with any products used in the past. 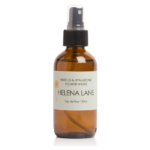 I enjoy the natural smell of the Helena Lane products, it sure beats using products that smell really pretty but don’t do anything for women’s skin issues. I will definitely keep using this product. After cleansing, mist generously over the face and follow with your moisturizer or serum. Alternatively, mix 2-3 sprays with your moisturizer or oil serum prior to pressing into your face. As a gentle cleanser. Spritz the face generously then remove with cotton pads or damp cloth.